Demark's Range Expansion Index is a technical indicator developed by Tom DeMark. It is a range bound indicator, and belongs to the Oscillators' family. The indicator moves within a range of -100 to +100.Two horizontal lines at -60 and +60 levels appears to make the interpretation easy. 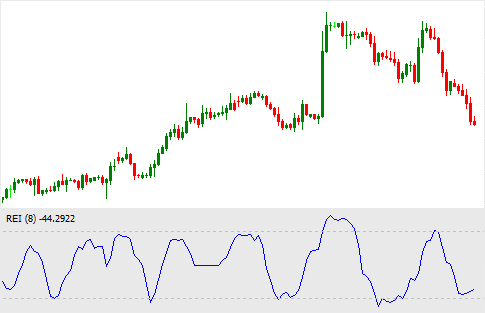 This indicator indicates oversold and overbought situations as other Oscillators. When the indicator gives a reading below -60, it indicates that the currency pair is oversold. Whereas, when the indicator gives a reading above +60, it indicates that the currency pair is overbought. Traders should go short on a currency pair when the indicator goes above the +100 level and cross the +60 line from above. On the other hand, traders should go long when the indicator goes below the -100 level and cross the -60 line from down. We already know the trading technique with bullish divergence and bearish convergence with RSI indicator. This technique can also be used with Demark's Range Expansion Index. The default period for this technical indicator is 8, but you can use any period depending on your trading strategy. If you want to trade frequently period 8 is most suitable. Longer period gives more accurate signals. Hope this post will be helpful to improve your trading experience.